Yigal Amir, serving life in prison for murdering Prime Minister Rabin, has won for the first time freedom from solitary confinement. 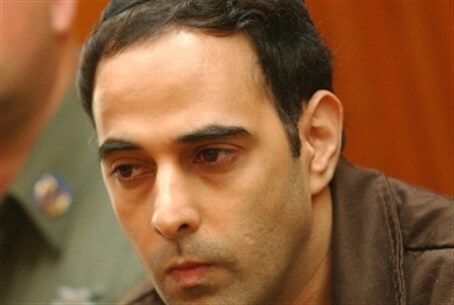 Yigal Amir, serving a life sentence in prison for murdering Prime Minister Rabin, has won for the first time freedom from solitary confinement. Prison officials, after the latest twice-annual review, approved Amir’s being transferred to a section where other prisoners are jailed. Israel Security Agency (Shin Bet) officials previously have recommended that Amir be kept in solitary confinement but did not object during the latest discussion on his confinement. Prison officials said they will closely examine which prisoners they will allow to be with Amir, partly out of concern that the are those who might want to harm him for assassinating Rabin. Amir will enjoy new privileges, including television and more liberal use of a telephone. He also will be allowed freedom of movement within the prison complex. The judicial system two months ago approved Amir’s request to pray with up to three other prisoners every day and suggested that his solitary confinement could be reviewed.